Sometimes the path of history creates a crux, a tipping point, a change that is so profound, it leads to invention that changes the course of humanity. the heritage of the original post-war, general purpose digital computer. the rise of the software crisis. the advent of the mobile computer. In the beginning of digital computing history, most notably during WWII, a computer was designed and conceived to crunch numbers faster than people. Later, by the late 1950’s, Silicon brains for these computers began doubling their capacity each year or two, in what becomes an unstoppable forward march. This is what we refer to today as Moore’s Law and it was an alarming prediction that is still underway today. This forward march of hardware was starting to double seriously powerful computing, and by the 1980’s software itself needed ways to keep up with that pace. We had to say goodbye to boxes and shopping at places called Egg Head. we had to start distributing software in new and different ways. The trouble was, to distribute software you had to print up books and boxes and enough to fill retail stores across the country (and the world) —that’s a lot of boxes! now, try to get your bug fixing update to everyone and it just can’t be done. The software economy stops there. The mobile computing world of today relies on it’s foundation of the web to transfer information and the AppStore to protect digital rights. Today’s mobile computer depends on this free-flowing distribution of web content, combined with the protection of digital data online. Robert Wyatt — Wired Magazine, May 1994. The web and the App Store both were created using NeXT technology, the same tools and technologies used to create iPhone, and all the apps on it. The NeXT Computer technology ignited the dot-com boom, and the inventions provided the underlying mechanisms required for the mobile revolution of today. Yet this computer is one of history’s least known and most misunderstood. 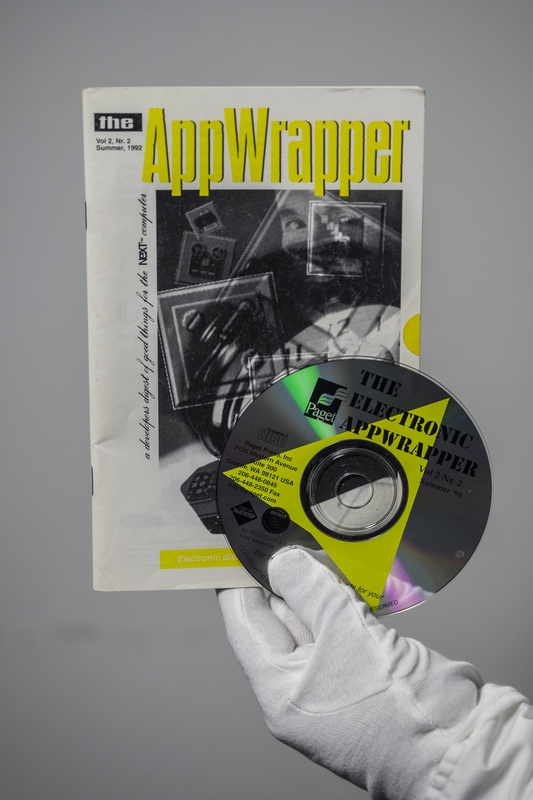 The AppStorey Documentary film chronicles the growth of the digital computer, from an academic beginning to the mobile commodity we know today. All Works Copyright © 2015 AppStorey. AppStorey and the AppStorey logo are trademarks of AppStorey, Inc. All other trademarks mentioned belong to their respective owners.